Organic molecules write about themselves ...using organic molecule aggregates .... molecular collective structures labeled humanoid. They have atomic language proper nouns...such as L.G. WADE,Jr., Solomon, Jerry March ....... and their organic molecule brain expressions authored college organic chemistry textbooks and advanced organic chemistry textbooks. Let's look at another organic molecule expression via a human construct. In this case ...carbon black expresses its itself VIA humanoid agents USING a COTTON CLOTHING FASHION known to the theorists who study the Hierarchy Problem of carbon atom bio-physics and the secret social science Hierarchy of the American Chemistry Socitey. ..Organic Division. These three - "particle size," "structure," and "surface chemistry" - are the basic properties of carbon black, and together are called the three main characteristics. 2) Chinese Communist party and DARK color dress clothes....in Asia in 1956.. ..... 1966 ...and their carbon black ...social chemistry message ...about Nature's Drawinian evolution of moelcule collectives and their political science expressions VIA humanoid messnger DISPLAY vehicles in Asia. 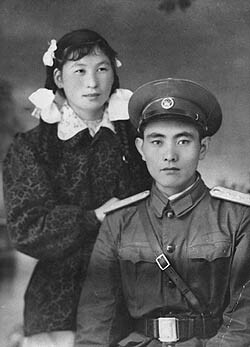 People's Liberation Army soldier and woman, late 1950s. Powerhouse Museum collection. 3) The carbon black agents of Martin Luther King, JR and their advanced organic chemistry DEMO for Jerry March ...the march to Selma, Alabama. Thus we see examples of organic molecule THOUGHT and social science expression VIA the display vehicles labeled: HUMANOID. Examples of carbon black social chemistry SIGNALS that are ignored. Map of Colorado with Aurora marked. Top: Map of ..... "Police say Colorado shooting suspect James Holmes had 2 pistols, assault rifle, shotgun"
What is Dark Matter ---> BLACK matter --> Carbon Black ...atomic social science empirical data? Mortuary: Temporary refrigerated storage for the atomic bio-physics deceased. Thus we see organic chemistry ...social science messages from Nature about carbon atom ....social engineering problems ..... that we ought try to understand.